Peterborough could get the ‘best devolution deal across the country’ according to the city council as it looks to set-up a combined authority with Cambridgeshire. Councillors will vote in an extraordinary meeting later this month on whether it wants to go ahead with the new deal, which would see an elected mayor for the region from May 2017. The ongoing devolution saga has moved on from a proposed offer by the Government which originally included a deal across Peterborough, Cambridgeshire, Norfolk and Suffolk. Now, the four regions have gone back to the Government with a different deal which would see two combined authorities across the four counties, with Norfolk and Suffolk joining together. However, the four counties will work together on matters such as transport and infrastructure. Crucially, Peterborough City Council insists that it will maintain all of its sovereignty as a local authority, with local services such as bin collection remaining under its control. Instead, a new combined authority, with its elected mayor, would sit separately to the councils and spend the money and use the new powers offered by the Government.
. A devolved transport budget, although the A14 and A47 at Wansford are not included in this. Taking into account population size, the £20 million annual fund is the most offered to any devolved region, according to the council, which believes it has secured the best deal in the country. An elected mayor has been a stick to beat the previous government devolution offer with. 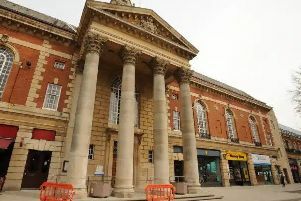 Councillor John Holdich, leader of Peterborough City Council, who would sit on the cabinet of the new combined authority, said the Government insisted on one as “they want someone publicly and visibly responsible for the money. They want to make sure it’s spent right. Cllr Holdich is backing the new deal and will try and convince his fellow councillors to vote it through. If all seven Cambridgeshire councils agree on it, then the Government will have until July 4 to accept the terms. “Our proposed deal builds on, and is better than, the original offer from the Government. It now also has the support of local business,” said the city council leader, who also said there was “absolutely no chance” of the city council joining up once again with Cambridgeshire County Council. “I, along with leaders from across East Anglia, believe that two deals is the best way to get the most out of the devolution process. “Devolution would mean greater control locally over the decisions that impact on all of our lives. “For residents it’s about making Peterborough more prosperous: more and better quality jobs, more housing, upskilling residents, better roads and connectivity. “For businesses it’s about making Peterborough as attractive as possible, through a skilled labour market meeting their needs, better transport routes and more housing for employees. The latest devolution deal has also been backed by the The Greater Cambridge Greater Peterborough Local Enterprise Partnership (LEP) which dismissed the Government’s original offer for an authority across four counties. The LEP will also be represented in any combined Peterborough and Cambridgeshire authority. If the local councils accept this new devolution package, a public consultation will take place across July and August. The governance model for the combined authority would have to be decided upon before the end of October, and then agreed by the Government. The first elected mayor would then be voted for in May 2017. Interestingly, if the devolution deal goes ahead, the council will look to then proceed with further devolution packages with the Government to secure more funding.